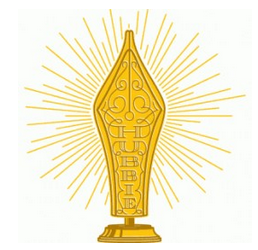 Announcing the 2013 Hubbie Award Winners! HubPages is excited to announce or annual Hubbie Award Winners! How do the Hubbies work? Last month we invited the community to vote for their favorite Hubs and Hubbers of the year. Each Hubber is eligible to win one Hubber-based award and one Hub-based award. Two weeks after opening the polls, we closed them and tallied the votes. Winners will be given a Hubbie Accolade and be sent a HubPages t-shirt! Congratulations to this year’s Hubbie winners! It was a really close race with so many amazing Hubbers and Hubs to choose from. Thanks to all those that voted! Well done, everyone! I’m honored with my Most Likely To Become An Employee award. Sadly, all HubPages ever seems to be looking for is software developers, whereas my skills are more in the customer service/experience realm. If they had a job for me, and it allowed me to be able to afford to live in San Francisco, I’d totally pack up and move back in a heartbeat. I’m so honored to win Best HubPage Poet! Thank you, all who were responsible for that. I’m also delighted to see several of my own nominees for other honors have won those honors! What a lovely contest, in which peers get to vote! Thank you! It’s so nice to know that so many people like nature and birds, and I am so pleased that my photos are being enjoyed. Thanks to everyone that voted, as I never would have received this award without you. Bravo! I skipped voting for ‘most likely to be banned’ for the same reason you mention! For the second year in a row, I have been honored by my fellow HubPages writers for having published the Most Interesting Hub. For this, I am truly grateful. I am especially pleased with receiving this year’s Hubbie Award for Poetry Forms. My article has caused people who had never written poetry to begin writing micropoetry. It has also caused established poets to write poetry in forms which were new to them. My hope is that HubPages will now give greater recognition to my fellow poets and their work. What a surprise! Thanks to all my fellow hubbers who voted for me. I never even imagined I would ever win any of these awards. This is truly an honor coming from such great people and so many amazing writers! I’m thrilled that I know so many of these winners and count so many of them among my friends. Congrats to all! I appreciate your votes! Thank you! I am humbled by my award as best all-around hubber…thanks so very much to all who voted for me, and congratulations to the other winners. Congratulations to EVERY writer here on HubPages! You’re ALL winners in my book, and no amount of awards recognition could ever steal your thunder. I never had the honor of meeting Mr. Aesop, but his fables delighted and pacified me as a child and still bring me comfort today now that I’m a card-carrying Baby Boomer and failed Peter Pan. Remember that tortoise? He’s still plodding along, just like all of us here on HubPages. What makes him a winner–what makes ALL OF US winners–is that even though a passing race might be over, even though the votes for another awards special have been counted, we’re all still emulating that tortoise. We all just keep on keeping on. THAT, my friends, is the only measure of what a winner is all about. In the wake of a mass exodus of our fellow writers from HubPages, we who remain owe it to ourselves as well as to each other the daily acknowledgment of at least one writer peer…five would be even better…ten would be awesome. Because, when you really stop and think about it, we’re all on the same marathon walk. Stopping every now and then to encourage and cheer our neighbor(s)…building, strengthening, and maintaining that durable umbilical lifeline with each other…now THAT’S the catalyst for a nuclear reaction of immense proportions. An A-bomb! A for Aloha! I am honored and humbled to receive the Teacher award for 2013. Two years in a row is a great honor. I appreciate all my fellow hubbers and the community for the votes. I know there are other writers out there who deserve the recognition as well (perhaps more than I). Congratulations to all those who won in the 2013 HubPages Hubbie Awards! Congratulations to all the winners of the Hubbie awards! Best Avatar! Wouldn’t the Queen be proud? I know I am. To be recognized by your peers, for any category, is no small feat! Thank you so much. I am truly honored to be in the same company as the great writers and photographers! I’m especially happy to see so many of the hubbers I voted for have won, its great to be in such good company. Thank you hub staff for all the behind the scenes work you do and thank you hub writers for being the best community ever. I did not like the ‘banned’ category either and I could not vote in that category. Congratulations to the winners, especially Sir Bill and my kabayan, Joe aka hawaiianodysseus. Congrats to all the winners! Some really good material in your hubs. I wish I was one of them…. sniffles. But congrats to these great writers!